Preparations are on track for this year’s matric final examinations in most parts of the country according to provincial education departments. An estimated 620000 pupils will write the exams at more than 6500 exam centres from October 22 to November 28. Limpopo and the Eastern Cape education departments have been placed under administration by the national government due to financial challenges. But Limpopo, which was also hit by non-delivery of textbooks, is confident of improving its pass rate by 7% to 70%. “Our educators have done a great job in preparing pupils. “Their contribution and commitment make them valuable pillars of our education system,” said their education department spokesperson Pat Kgomo. 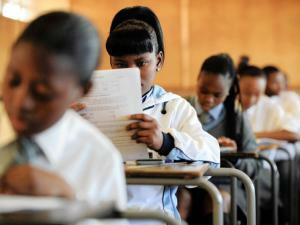 The Eastern Cape education department, which got a 58.1% matric pass in 2011, said it too was aiming for 70% this year. Department spokesperson Mali Mtima said steps taken to assist Grade12 pupils would pay dividends. In the Northern Cape 16000 pupils were unable to go to school for four months because of service delivery protests. The provincial department set up matric camps following schooling disruptions in Olifantshoek in the John Taolo Gaetsewe district. “The pupils who are part of the camps are being helped by specialist teachers. We have been persuading parents to allow their kids to go back to school,” provincial education department spokesperson Sydney Stander said.